If your handlebar combination is not listed below contact us and we will gladly help you find the Wind-Vest to fit your custom motorcycle application. 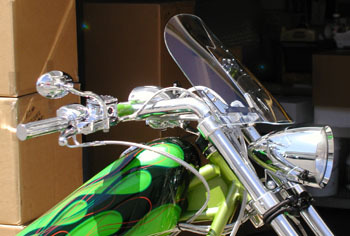 WindVest makes a large selection of windshields to fit most custom motorcycle bars. If your handlebar combination is not listed here or in your category use the form to contact us and please supply us with two photos of your motorcycle close up of the front handlebar view and the side handlebar view. Also include any information you can about your handlebars risers or accessories (part numbers manufacture thickness etc. The more information you supply the faster we can find you the exact WindVest you need. 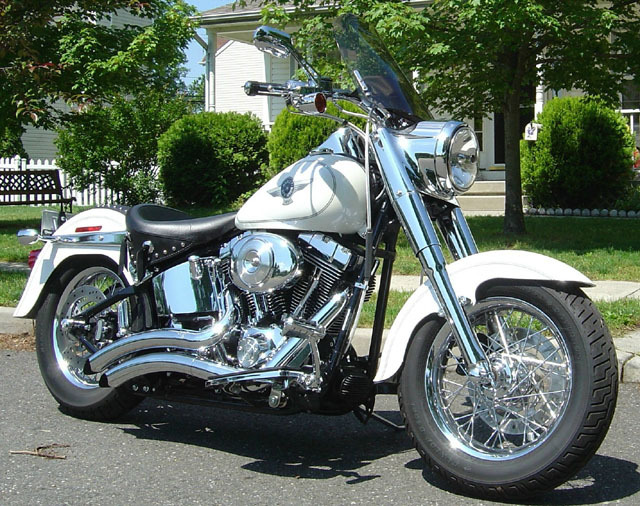 Use this form to send us your contact information and two photos of your custom motorcycle and we will help you find the best Wind Vest for your handlebar and accessories combination. Please be sure to fill in all fields so we can assist you better. It is sometimes helpful to have a couple digital photos of your custom application that can be emailed to us so we can ensure you get the best possible WindVest for your custom ride. Use the form to submit your photos and information for a application quote. Fat Kit for tachs, speedos, etc. WindVest makes a large selection of windshields to fit most custom manufacturers. Please contact us at WindVest Customer Service and we will gladly help you find the WindVest to fit your custom applications.